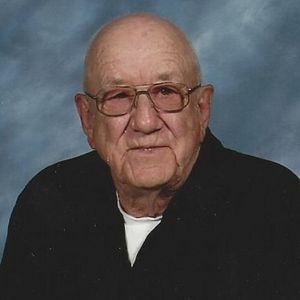 BREMEN – Harold Raymond Stewart, Jr., 78 of Bremen, died Saturday, April 20, 2013 at his residence in Bremen. He was born July 5, 1934 in Muhlenberg County, was a retired coal miner with Peabody Coal Company River Queen Mine and a member of the Bethlehem Baptist Church in Bremen. He is preceded in death by his wife, Marilyn Stewart, his parents, Raymond and Magdeline Nelley Stewart and a brother, Darrell Stewart. Survivors include two sons, Rick(Barbara)Stewart and Bryon(Davida) Stewart and a daughter, Teresa Kay Ford all of Bremen, his grandchildren, Christy (Steve) Bryan, Amanda (Richard) Summers, Dwayne Noffsinger, Christopher Noffsinger, Patrick Noffsinger, Jeffrey (Hannah) Winebarger and Travis (Ashley) Winebarger , great grandchildren, Tyler Bryan, Leah Bryan, Cameron Bryan, Logan Noffsinger, Jessie Winebarger, Shawn Winebarger, Ethan Summers, and Ayden Summers, two sisters, Florine Heltsley and Betty (Pete) Monaghan both of Bremen. 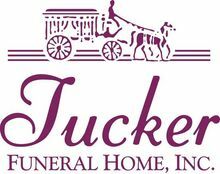 Funeral services will be held at 11:00 AM, Wednesday, April 24, 2013 at Tucker Funeral Home in Central City conducted by Rev. Leroy Rearden with burial to follow in the Bethlehem Cemetery in Bremen. Visitation will be after 5:00 PM Tuesday and after 8:00 AM Wednesday at the funeral home. Create An Online Memorial For Harold Raymond Stewart, Jr. I know how close you are to your father. I am glad that you know your father is in heaven along side with your mom living in internal peace. I remember all the times your dad and mom used to come to Jack's old office, I knew that your dad loved you so much, and always liked to stop by and visit to make sure you were doing ok.
May you take comfort in knowing how proud your father and mother were proud of you and how much both of them loved you so much.